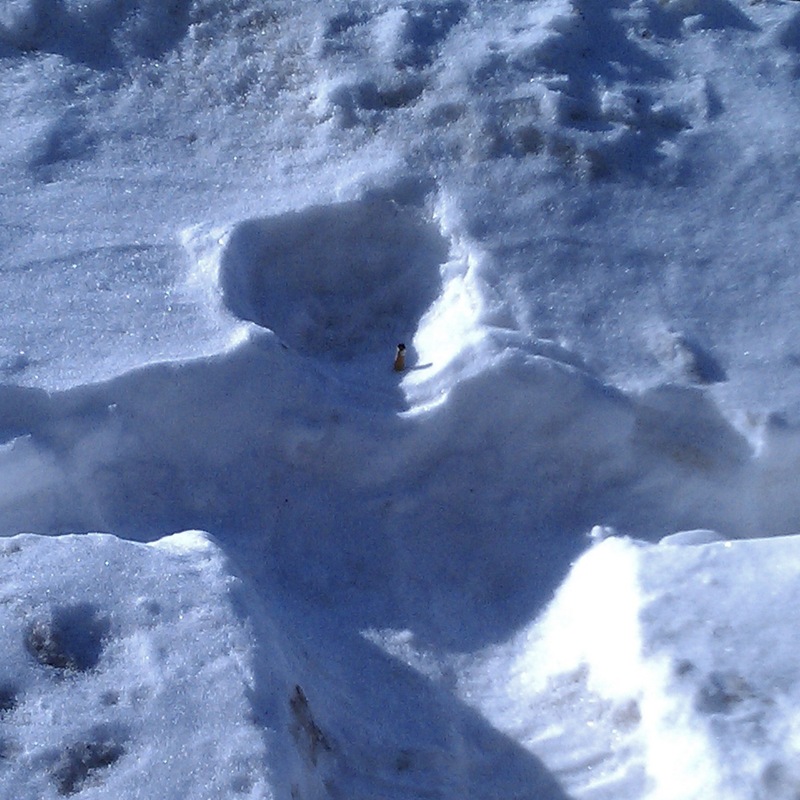 Snow Angel or Drunken Stumble? Or both? It can sometimes be hard to pick out the nuances that help determine the species of patterned snow-dent with which you’re dealing. I think the fact that we found him outside of Cause Spirits and Soundbar in South Minneapolis is a big hint, though. And look – someone bummed him a smoke! 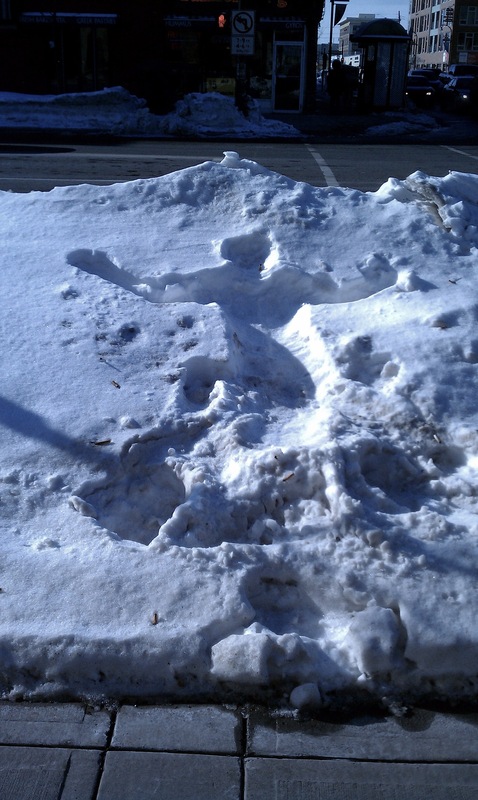 We found him at the intersection of Lyndale and Lake – southeast corner. Stop by and say hi – he’ll probably be there until spring!